Need a fun distraction to get you through the daily commute or an enjoyable puzzle book for your next holiday? 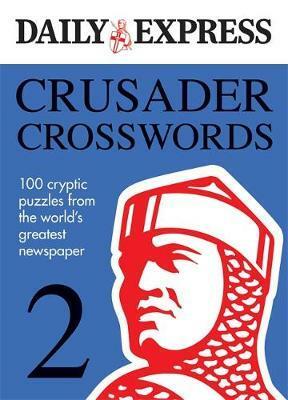 Crusader Crosswords Volume 2 is the perfect solution, with 100 of the most engaging and demanding grids from the archives of one of the UK's favourite papers. No matter what age or skill-level you are, this pocket-sized puzzler will keep you amused for hours and leave you wanting to conquer more from Hamlyn's bestselling Crosswords series.